Four Inc. adds IBM Security Software Products to GSA’s Continuous Diagnostics and Mitigation Tools SIN - Four Inc.
HERNDON – January 7, 2019 - Four Inc., a woman-owned small business IBM software solutions provider, announces today that a Department of Homeland (DHS) approved list of IBM Security Software products have been added to the Continuous Diagnostics and Mitigation (CDM) Tools Special Item Number (SIN) 132-44 on Four’s GSA IT Schedule 70. The CDM Tools SIN supports the DHS CDM Program to provide a vetted set of continuous diagnostic and mitigation tools for federal, state, local, regional and tribal governments. 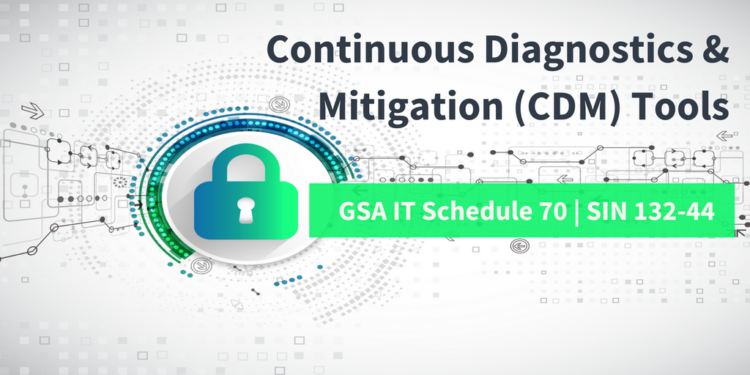 By using the GSA SIN, agencies have one centralized location to access a pre-approved list of CDM offerings.